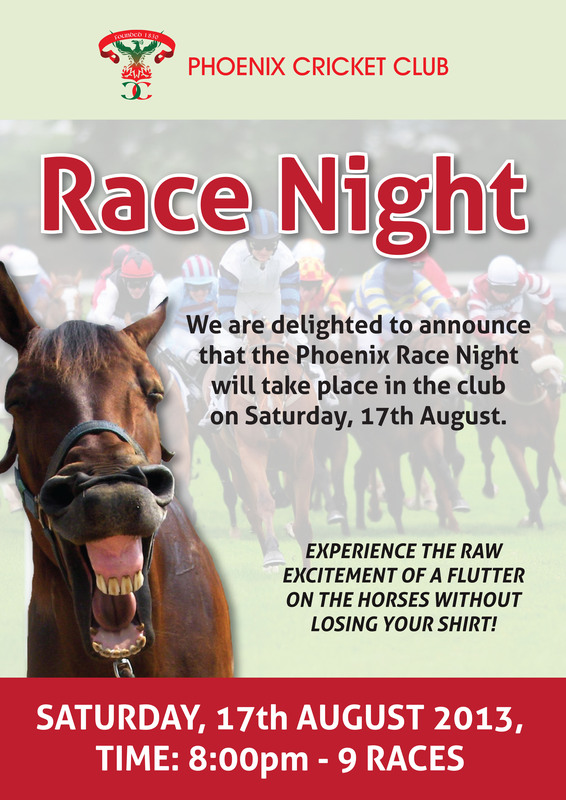 We are delighted to announce that the Phoenix Race Night will take place in the club on Saturday 17th August 2013 @ 7.30pm. * There will be 9 races with 8 horses in each race. * Each horse will have a Jockey, Trainer and Owner….the owner names the horse. * Each component can be bought for €10 and if anyone decides to buy all 3…they get it for €25. * We also have a race sponsor and so people can put there name to a race for €80……ie “The David Ford Champion Hurdle”. *The winning Jockey, Trainer and Owner each receive a prize.